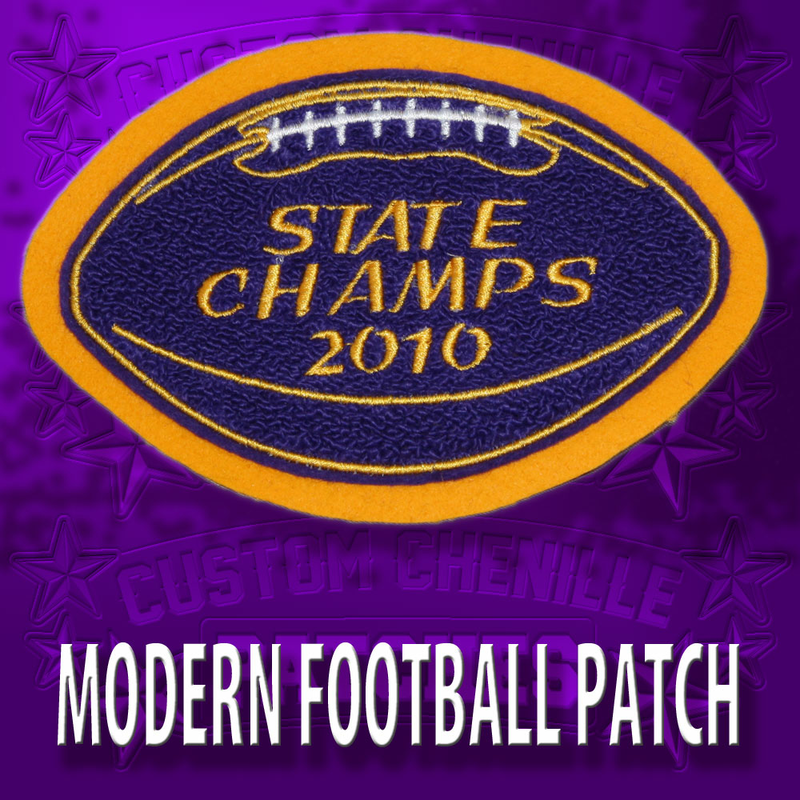 How do I order my patch? 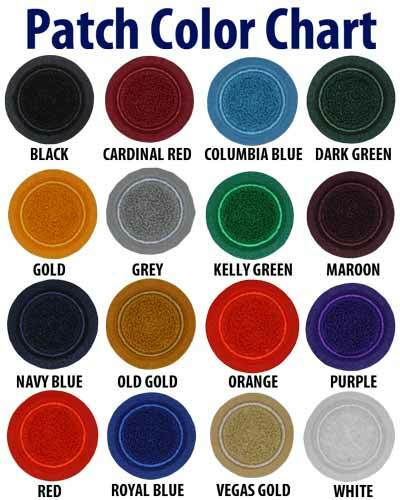 Make your color selections for all of the elements of your custom chenille patch. You will see the selected colors represented in the artwork of the patch. 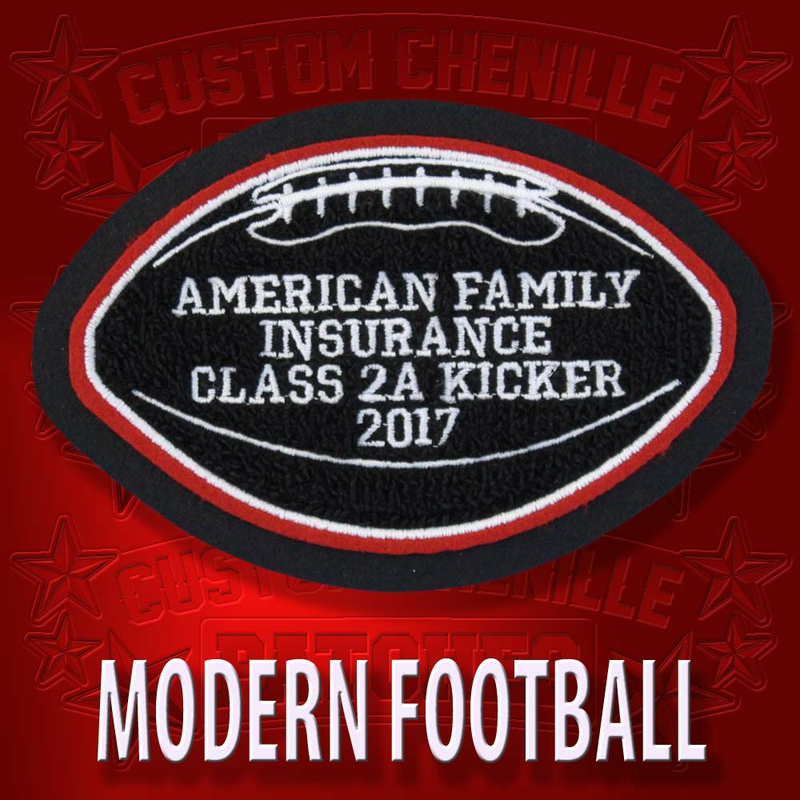 When you get the colors of the patch just the way you want it you will then be ready to fill out any other of the information on the order form. Many patches have spaces available for you to add your own lettering. We will work with you to get the lettering just the way you want it so if you can’t quite fit enough letters in the space provided then just let us know. There is a comment box during the checkout process, and that is a great place to leave us any comments about your order that need to be addressed. 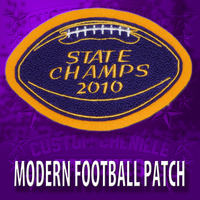 This is an elegantly designed chenille patch for football. 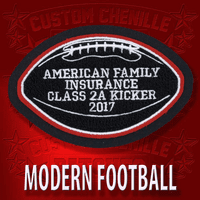 The modern football patch is created so that you can pick your own colors and and add lettering to fit any award that you need for participating in football.